This year during Art Basel Miami, DB Burkeman—who brought us Stickers: Stuck Up Piece of Crap (covered) and The Sticker Wall (covered)—will be presenting Slap Happy at Wynwood Walls (covered). 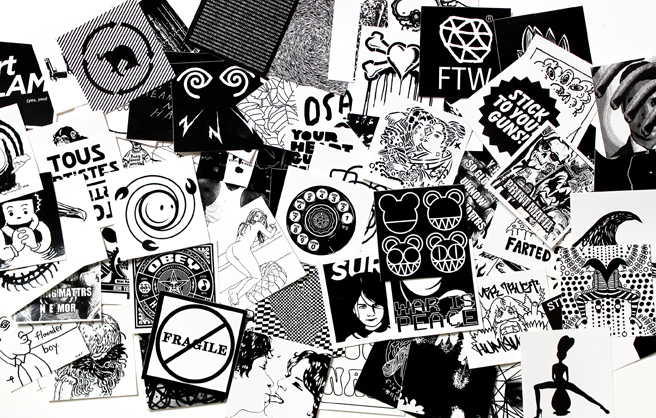 For the project, DB and Paul Weston invited 75 artists and designers from around the globe to create a same-sized black and white sticker. Among the invitees participating are such notable names as Aiko, Shepard Fairey, Anthony Lister, Chris Johanson, Stanley Donwood and The Designers Republic, just to name a few. Sticker packs, books and 25 signed “black books” will be sold at the event starting Nov. 29, with the proceeds going to a drug rehabilitation center in Miami. 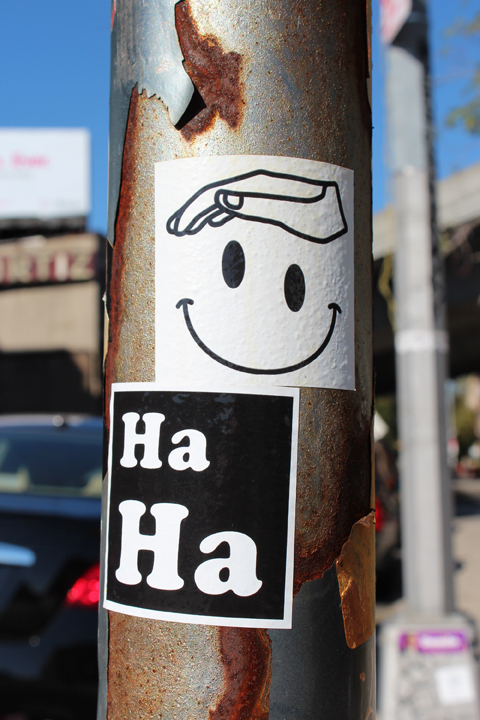 Preview images of the stickers will be available on the Slap Happy site. A full list of contributors can be found after the jump. Categories: Art, Art products, Benefits, Contemporary Art, Fairs, Shows & Events, Street & Urban Art. Tags: Aiko, Anthony Lister, Art Basel Week Miami 2011, Chris Johanson, DB, DB Burkeman, Paul Weston, Shepard Fairey, Slap Happy, Stickers, Wynwood Walls 2011.